We are a Proud Sponsor of the Arts. We have co-sponsored one of the American Stage Theater Company's Main Stage Plays. However, for the last seven years, we have solely sponsored the entire After Hours Series. American Stage is Tampa Bay's best professional regional Equity theater. Founded in 1977, the company's mission is to create the most satisfying live theater in the Tampa Bay area, accessible to all members of the community. American Stage Theater Company continues its new experiment of presenting edgier entertainment after Mainstage plays have finished for the night and on traditionally "dark nights". This is the seventh consecutive year that we have been involved with American Stage. We feel that they are an important and special aspect of Saint Petersburg and have helped with the quality of life of the city. Some of these plays are "pay what you can" which means you can pay whatever you want. The events are affordable and live entertainment is priceless. Please check out the website for performance times and ticket prices. The theater is located on the corner of 3rd Street North and 2nd Avenue North. For tickets, you can purchase online or call the American Stage Box Office at (727) 823-PLAY (7529). 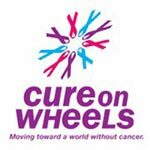 Cure On Wheels is a non-profit organization committed to raising funds to augment the fight against cancer. Cure on Wheels gives funds to both Moffitt Cancer Center and All Children's Hospital. Funds are provided to Tampa Bay families for necessary services after a potentially debilitating diagnosis of cancer. Our commitment is to supporting the Cure on Wheels through many different avenues. As the Cure on Wheels Pinellas County Bike Shop, we have had involvement in packet pick-up, ride specific tune-ups, and ride supplies. Each year we plan to increase our involvement to benefit the riders and organization. Help us help support this cause that effects our entire community. 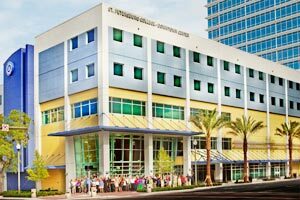 The St. Petersburg Free Clinic is committed to serving those on the margins of our society and providing help to keep families and individuals from "falling through the cracks." St. Petersburg Free Clinic is funded by the generosity of members of our community: individuals, civic groups, businesses, religious organizations, clubs, and foundations. We have often said that we are able to help the community to the extent the community helps us. 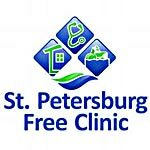 We support the Saint Pete Free Clinic through donations of products and abandoned bikes. We always recommend that our customers donate their bicycle to the clinic instead of trying to sell it. The value created by the donation is immeasurable compared to the couple of dollars one gets from selling it on the internet. This year, in coordination with our 2015 goals, members of our staff will donate their time at the clinic, helping keep their bicycles safe and reliable. 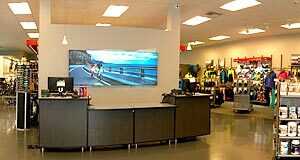 One of the most rewarding aspects of our job is to create great experiences for our customers. However, some families are unable to afford good quality bicycles for their children. Safe and correctly sized bicycles result in a safe and happy bike riding experience. Everyone remembers their first bike, no matter what it was, and the memories are always filled with laughter and smiles. The bicycle has permeated all generations, with the same attributes of freedom and endless possibilities at any age. We believe that the bicycle can serve as an open door to endless opportunities. That is why we donate all of the kids bicycles that are "Traded-Up" (see below) to local organizations and charities. This way, the bicycle can create unforgettable experiences for children, regardless of their families ability to buy a bicycle. Everyone deserves to enjoy life on two wheels. We believe that the bicycle, and our experience with it, symbolizes the simplicity and joy that life truly is. We know that our kid's bicycles are quite the investment. That is why we designed our "Trade-Up Program" to save you money while keeping your kids on a bike suited to their age, size, and ability. 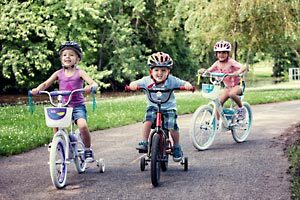 If you purchase a brand new kids'* bicycle from our store, we will credit you up to 50% of the price you paid towards the purchase of the next sized bicycle. Just bring the bike back within 3 years of the date of purchase to trade in and we'll give you up to 50%* of your purchase price back in a credit towards a bigger bike! 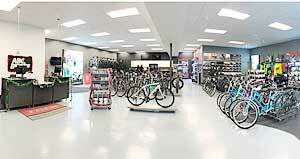 Continue to trade-in until your child takes home an adult bike. * Kids bikes are any 12", 16", 20", and 24" bikes. Your "Trade Up" bicycle must be accompanied by a receipt from ABC Bicycles/Trek Bicycles St. Pete. The bike must pass a simple inspection and safety checklist. The bicycle must be in reasonable and rideable condition. The customer is responsible for worn tires, saddles, grips, missing training wheels, and any service work to make the trade-in bike in good, working order. We are a proud sponsor of Northeast Little League. 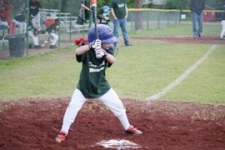 Northeast Little League is a large community of families that enjoy watching their kids grow their skills both social and physical through sports. We like helping these kid’s become great people. We believe that active lifestyles begin at a young age. Being involved in such programs enables kids the opportunity to live an active lifestyle while exercising and having fun. We're all united by a shared passion: bikes. Bikes keep us healthy, carry us from point A to point B, save us from high gas prices, and make our air cleaner and our roads less congested. Bikes fill our lives with adventure and excitement, relaxing our minds and energizing our souls. The mission of Florida Resurrection House, Inc. is to provide a community, faith-based, transitional housing and self-sufficiency program for motivated families with minor children who are homeless or at risk of being homeless. We acknowledged their efforts by supplying Resurrection House program participants with subsidized labor and parts. We believe that the bicycle can change the world. Ensuring that a participant possesses safe and reliable transportation is key in getting to and from work or bringing groceries home. As with all of our commitments, Resurrection House is supporting the community in which we live. We feel that their efforts are for the good of their participants as well as Saint Petersburg as a whole. We applaud Resurrection House for their continued efforts to make the lives of people better. We are proud partners with Eckerd College and its Yellow Bikes Program. Rick says, "Jim Annarelli, the Dean of Students, contacted us in February 2009. Their "green" program was getting revamped for the spring semester and they needed some help in resurrecting their 250 bicycles back to working condition. As a former Eckerd graduate (Rick, '99), and an environmental studies major, I was excited to be a part of this program and reunite with Eckerd College"
This is a great opportunity for us to be part of a program where bicycles are a way of life. We have touched every one of the cruisers that are on campus and are always working on the stability of the fleet. We are proud sponsors of the YMCA Spin-a-rama and Healthy Kids Triathlon. The Spin-A-Rama is a fun, competitive spinning event, which lasts for 9 hours, and there are a variety of ways you can join the fun! It is designed to raise awareness & donations for the YMCA Annual Campaign in support of LIVESTRONG® at the Jim and Heather Gills YMCA. The Healthy Kids Triathlon is part of the national Healthy Kids Innitiative .Summer is the time for kids to get up, get out and grow. But for some kids, exposure to activities that stimulate the body and mind ends with the school year. In fact, research shows that kids are prone to gain more weight and fall behind in studies. Every year, the Y celebrates Healthy Kids Day®, our national initiative to improve the health and well-being of kids. Anchored in neighborhoods throughout Greater St. Petersburg, the Y believes that lasting personal and social change can only come about when we all work together to invest in our kids, our health and our community. Trail Cleanup - The Pinellas Trail is part of the St. Petersburg City Trails Program We actively support both and are a part of the Pinellas Trail Adopt-A-Mile Program. Our mile is the nearest trail mile accessible from our Central Avenue location, the ABC Bicycles store, so our bi-monthly cleanups start right from there. Very convenient! The Pinellas Trail Adopt-A-Mile program is a cooperative partnership between the public/private sector and Pinellas County. Program participants agree to perform cleanups every other month to remove litter and debris. Fred Marquis Pinellas Trail adoptions greatly enhance the appearance of the trail and go a long way toward reducing the debris entering our waterways and polluting the natural habitats of our native wildlife. We now have two Trail miles that we maintain.